You’re busy but you understand just how important it is for your family to eat healthy. That’s where a good produce and grocery delivery service can come in handy. A reliable farm delivery takes the guess work out of eating the best locally grown produce, meals and organic grocery items. Problem is, not all delivery services are equal. It’s important you choose the one that will best fit your needs and the needs of your family. Obviously we’re a little bias, but we hope this break down will help explain some of the pros and cons of choosing between the local options. Lee & Maria’s – Prices range from $22.99 to $51.99 per delivery. There are four different bins to choose from, plus an All-Natural Bin option for $44.99. All options are customizable. Go Produce – Prices range from $12 to $54. However, if you want to customize your delivery, the cheapest option is $34. Go Produce doesn’t offer an All-Natural option. Lee & Maria’s – Lee & Maria’s began delivering in Windsor-Essex in 2012 and was the first service to begin offering home deliveries in the region. We have farmed our Kingsville location since 1977. Go Produce – Began home deliveries in 2015. Lee & Maria’s – All Lee & Maria’s bin options are of top quality produce and have a 100% satisfaction guarantee. Go Produce – Provides both regular deliveries and a flawed produce option for $19. Lee & Maria’s – Was the first farm delivery service in Canada to offer a smartphone app to members allowing them to customize their orders and change their schedule right from their phone. Go Produce – Doesn’t offer a smartphone app. Lee & Maria’s – Offers organic grocery items, prepared meals, and locally produced items like pasta, perogies, pizza, salad dressings and more. Exclusive partnerships mean many of the regions best products are only available for delivery through Lee & Maria’s. 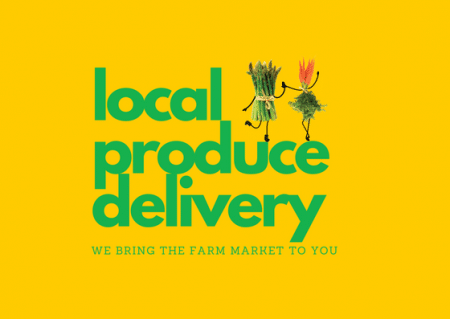 Go Produce – Offers organic grocery items and alcohol for delivery. Has a certified kitchen and prepares their own meals. Lee & Maria’s – No Delivery Fee, Ever! Go Produce – Charges a delivery fee depending on the order contents. We all can't wait to open up the bin. It's a race to the front door to see if its there and who gets to open it first. We have so much fun opening it up and get excited to see what is in there! I'm on disability and I am still able to afford this service. Knowing that I have fresh, healthy food coming to my door thru out the month is such a relief. Your service has made us eat more vegetables and try new recipes. My oldest daughter happened to be living back at home this summer and she does not eat meat, so it helped to have more options for her. I love the service. I look forward to it every time and am very excited to see what was in it. Most of the time the small basket was even to big for me and I shared some of it with family and friends. The service means healthier choices for my family and to explore new fruits & vegetables that we haven't cooked with before. To me delivery day is like Christmas can't wait to see what goodies my basket holds. Everything is always nice and fresh and always a good variety. I love this idea and look forward to many more bins! Hopefully this explanation has helped you understand the differences between the two services. If you would like to learn more about Lee & Maria’s delivery, click this link.